Washington, DC - Today, President Donald J. Trump issued an Executive Grant of Clemency (Full Pardon) posthumously to John Arthur “Jack” Johnson, the first African American Heavyweight Champion of the World, for a Mann Act conviction that occurred during a period of racial tension more than a century ago. Johnson served 10 months in Federal prison for what many view as a racially motivated injustice. 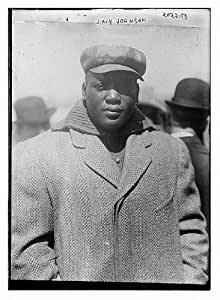 Born in 1878 in Galveston, Texas, to former slaves, Johnson overcame difficult circumstances to reach the heights of the boxing world and inspired generations with his tenacity and independent spirit. Congress has supported numerous resolutions calling for Johnson’s pardon. These resolutions enjoyed widespread bipartisan support, including from the Congressional Black Caucus. One of these resolutions passed Congress as recently as 2015. In light of these facts and in recognition of his historic athletic achievements and contributions to society, the President believes Jack Johnson is worthy of a posthumous pardon. President Trump is taking this unusual step to “right a wrong” that occurred in our history and honor the legacy of a champion.